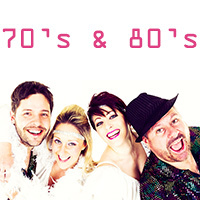 The Big 80s have been delighting audiences with our fun-packed 80s show since 2000. Not only do we sound just like your favourite 80s band, we look like them too - we have loads of costume changes and dance routines throughout our show and guarantee to make your occasion one to remember! Just remember to be prepared for lots of dancing to wonderfully cheesy 80's pop! 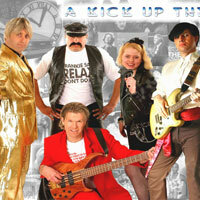 If you love 80's music or the 80's were your era, then The 80's Show is the band for you. Covering music from - The Human League, Duran Duran, Spandau Ballet, ABC, Yazoo, Madonna, Depeche Mode, Ultravox, Eurythmics, Adam and the Ants, and many more! 80's music has never really gone away but with so many 80's groups and singers reappearing it's made us one of the busiest groups on the 80's scene, so why not take a trip back and to turn your night into a revival of those fantastic times. 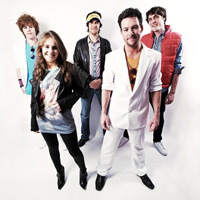 No.1 Party Band are a 5 piece band based in the North West of England. 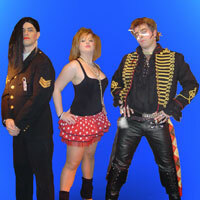 The band recreate a mixture of some of the 80's best hits, completely live, without a backing track in sight! They are accustomed to performing a massive amount of genres in a wide variety of venues, making for a very experienced band for any occasion. No.1 Party Band can offer you a choice of 3 sets of the best classic 80's music, perfect for any occasion from a wedding to a corporate or birthday party. You can pick you own set list and request a first dance for a wedding, and will cater for you needs as much as we can.